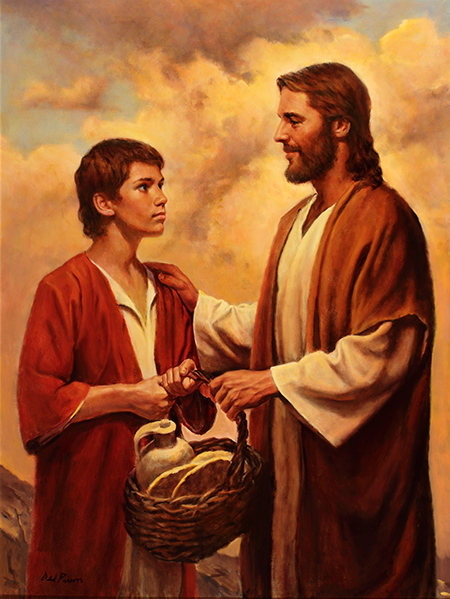 Jesus spoke to John Mark at length about the effect family life has upon the development of young persons. Jesus pointed out that the friend of John Mark named Amos had also wanted to go with Jesus, but his parents refused their consent. “You are the product of a home of wise love,” said Jesus. “I know I can depend upon you. But Amos did not have a home life that would produce a dependable person. You will be happy and dependable because the first eight years of your life were spent in a happy, supportive home. You have known wise love. “The entire afterlife of individuals is affected by the family and early up­bringing. Such a home enhances religion, and true religion always glorifies a home. 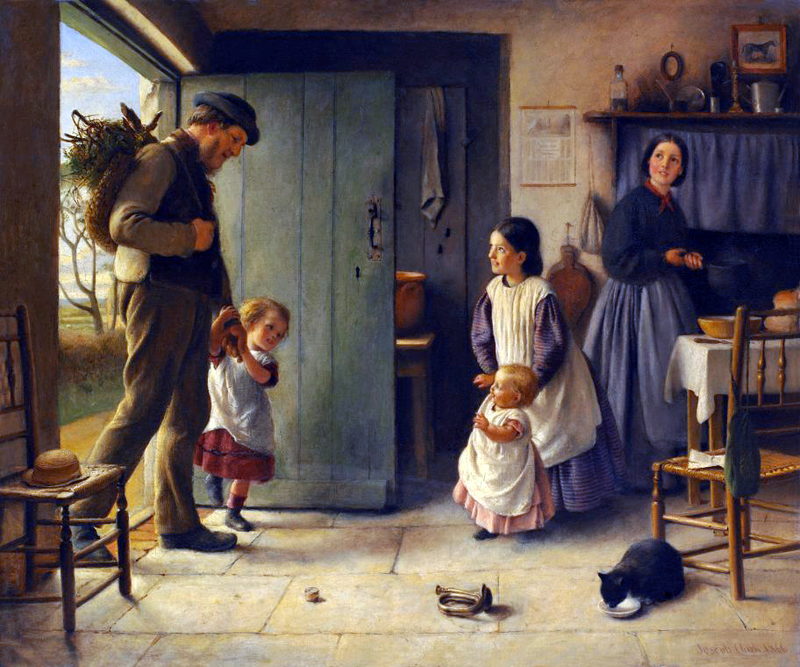 It is the responsibility of earthly fathers to so live and order their homes that the word ‘father’ becomes enshrined in a young person’s mind.” Before they returned to camp, Jesus admonished John Mark to “tell no person” about the things they had discussed. 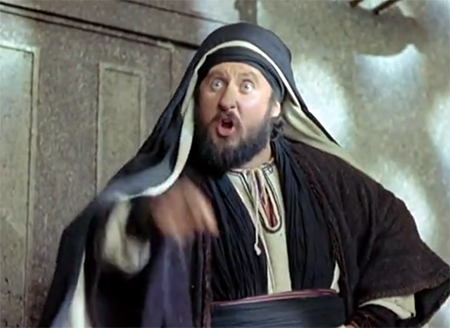 Sanhedrin teams attempted to disrupt Jesus’ teachings today, and their efforts were an embarrassing failure. After a dramatic cleansing of the temple, Jesus began to teach the Passover crowds who were in an atmosphere of quiet attentiveness. About two o’clock this afternoon a group of Sanhedrin elders made their way close to Jesus, and, as is the custom, asked him a question: “By what authority do you do these things? Who gave you this authority?” It is well established that Jesus has not been officially ordained by the Sanhedrin, so listeners drew close to hear Jesus’ answer. A murmur of approval went through the crowd when Jesus made his final pronouncement. The Sanhedrin officials asked no more questions of Jesus that day. The general feeling here is that the question asked of Jesus was insincere and Jesus handled it with majestic poise and wisdom. But observers also point out that the cleansing of the temple by Jesus has brought the Sadducees over to the side of the Pharisees. The majority of the Sanhedrin is composed of Sadducees, and now they too are united against Jesus of Nazareth. 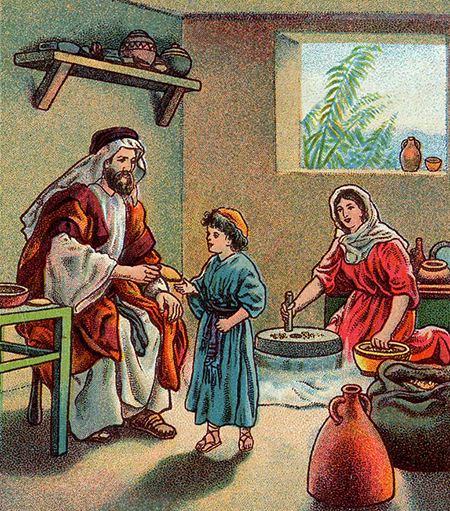 A public statement was issued today by Jesus ben Joseph in which he insisted that family considerations forced him to refuse to join the Zealot tax rebellion against Rome. Jesus asserted that his family needed more than material support, they needed the watchcare and guidance of a father. 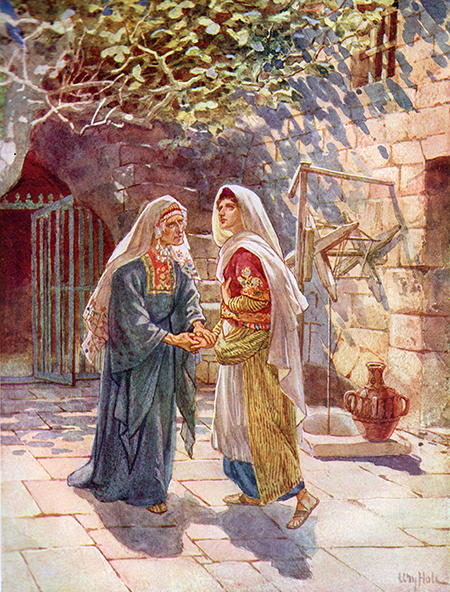 “Money cannot love,” he said, probably a reference to the offer of Isaac, the money lender, to provide the financial support the family needed so that Jesus would be free to join the Zealots. In a surprise statement, Jesus’ brother James declared his support for Jesus. He stated that the family needed Jesus, and soon there would be five boys, not just one, who could join the Zealot cause. Reaction to the twin announcements was generally positive, but there were notable exceptions. “Jesus will never have the support here he once had,” said one detractor. Jesus ben Joseph, a local fifteen-year­old boy who amazed the rabbis in Jerusalem with his questions and comments two years ago, has formulated a prayer for his brothers and sisters. Jesus supports the family since the death of his father, Joseph, last year. 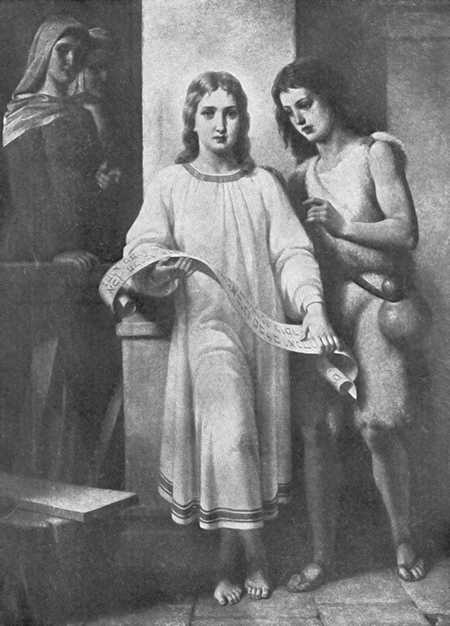 One of his brothers, James, recited the unique prayer shown at right. When reached for comment, Jesus noted that prayer is best when it is individual and expresses the feelings and thoughts of the person praying. He cautioned against automatic repetition of a prayer as a substitute for true communion with God. A rash of complaints greeted the price lists for sacrificial animals at Passover. “It takes a week’s wages to buy two doves that should sell for only a few pennies,” complained one pilgrim from Turkestan. 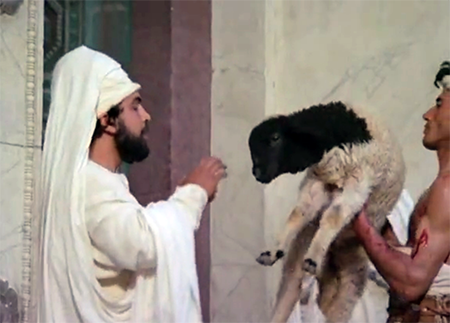 “Once I brought a perfectly good lamb for sacrifice at Passover and had it rejected as ‘blemished.’ I was forced to buy a temple lamb at a ridiculous price.” These allegations were denied by one of the temple priests who owns a sacrificial stand selling animals. “Our animals are guaranteed acceptable, and no further fees are required. This makes our prices a bargain,” he insisted. Also, several pilgrims complained that because the one-half shekel head tax must be paid in Jewish currency, the money- changers charged exorbitant prices for the service. Thirty to forty percent is allowed by law, and this may be doubled if change is required. Jewish coin is also necessary to purchase sacrificial animals and to pay tithes. 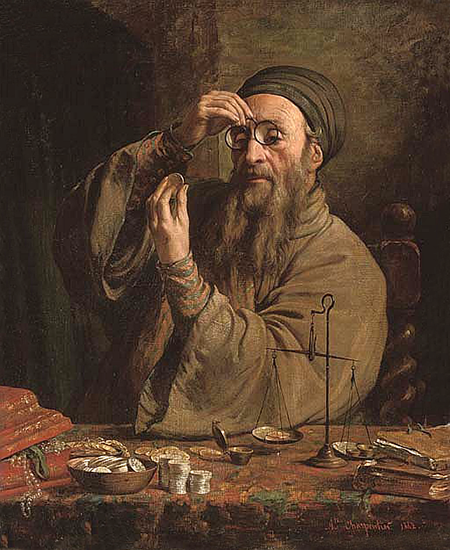 A banker explained that twenty different types of coinage needed to be changed, and the service is important and valuable. “It helps everyone. Much of the profit goes into the temple treasury.” A pilgrim from Parthia commented: “Indeed, the business is profitable. But there is rumored to be unbelievable wealth in the temple treasury. Too many people live in poverty and must pay unfair levies.” Temple authorities dismissed the charges as frivolous. Authorities would not comment on the size of the temple treasury. The child training system of local Jews was praised yesterday by a visiting Greek educator, Holbar, who was passing through Nazareth. “Few homes can equal the balance of intellectual, moral and religious training found in Galilee,” he said. 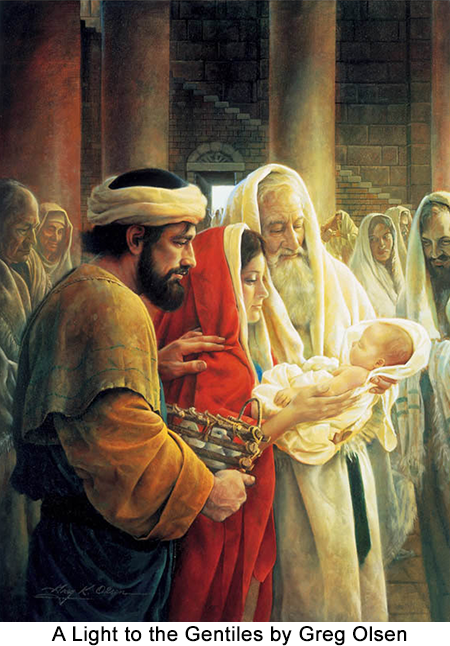 “It is the custom of the Galilean Jews for the mother to bear the responsibility for a child's training until the fifth birthday, and then, if the child is a boy, the father is responsible for the intellectual and religious education. The mother teaches home training, including the care of plants and animals and weaving. Children use boxes of sand to work out maps and practice at writing Aramaic, Greek, and later on, Hebrew. At seven years old, boys begin their formal education in the synagogue schools until graduation at the age of thirteen. Jewish girls are sometimes home-schooled. 1. The fact of existence … the human mortal takes origin in the parents. 2. Security and enjoyment … good fathers enjoy providing for their offspring and go so far as to make provisions for their pleasures also. 3. Education and training … children learn to accept new responsibilities in life by being exposed to proper education and a developmental methods. Life itself is school. 4. Discipline and restraint … wise love guides, restrains and sometimes corrects immature offspring. 5. Companionship and loyalty … the wise father listens earnestly to his children, even as does God in heaven. 6. Love and mercy … good fathers are forgiving, tolerant, and never hold past errors against their children. 7. Provision for the future … a family continues on, good fathers provide for the future of their offspring.